We buy a smartphone and use it for various purposes but the heartbeat of every gadget is its battery power or lifetime. It must at least withstand till we come back to home from office. As far as, Apple gadgets are concerned, customers complain about the battery backup which it fails to stand for more hours. Well, a smartphone will always be having this kind of issues but still it has to be fixed. 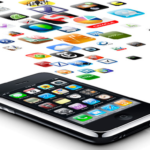 Apple application developers provide some applications which can reduce the battery usage of your Apple gadget. 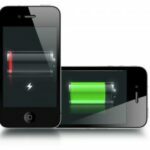 Whatever be, your iPhone or iPad or iPod Touch or iPod, there are some applications available to save battery life. The first choice of mine to use with your iOS devices is Battery Life Pro. 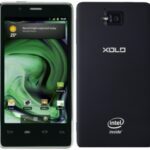 It can feature you good optimization of your battery power. It monitors your 2G calling, 3G calling, WiFi, Bluetooth and other applications which eat up high battery power. You can also keep verifying on battery’s charging time. Whenever your mobile is plugged into a charger, it will start recording the time of charging. It will save everything in a log and lets you to view them by year, month and day. 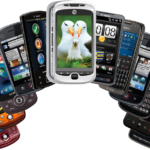 It provides tips on using your mobile depending upon the amount of charge it have. It is compatible with iOS 3.0 or later. It is developed by KDAN Mobile Software Ltd. Battery Doctor Pro is much different from Battery Life Pro. The features in battery Doctor Pro is much unique and it is developed by Game Lingo. However, Battery Doctor Pro also has charge logging feature and so on. It monitors your Battery health periodically. It can tell you about the applications which decreases the battery power and according to that, you may close those applications. 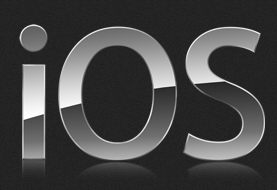 The application can run in iOS 4.0 or later. Battery LED can let the Apple users to know about time that how much hours or minutes it can withstand and also, it can show you the time when any application is opened. When applications which use Internet are opened, the device really needs more battery power to run. Thus, Battery LED will show you an updated time till which it can withstand. While charging, it can show up at what time, the battery gets fully charged. With a specific amount of battery power, it can calculate audio and video playback time, phone talk time (both 2G and 3G), internet usage and more. It can run with iOS 3.1.3 or later. The most trusted and a big company is supposed to be Philips. They develop BatterySense and are supposed to be the one of the best applications of iOS to save battery power. BatterySense is the most user friendly application which can monitor every application, playback and calls to save energy. It works fine with iOS 4.3 or later. Author Bio: This Post has been written by Arjun, editor of CryptLife but loves to share information about technology with all and haves fun with friends. Nice post Abdu, i like batteyLed in the list you have mentioned. all the app is really good if you want to save batter of your phone ..thanxx for sharing ….!!!! !